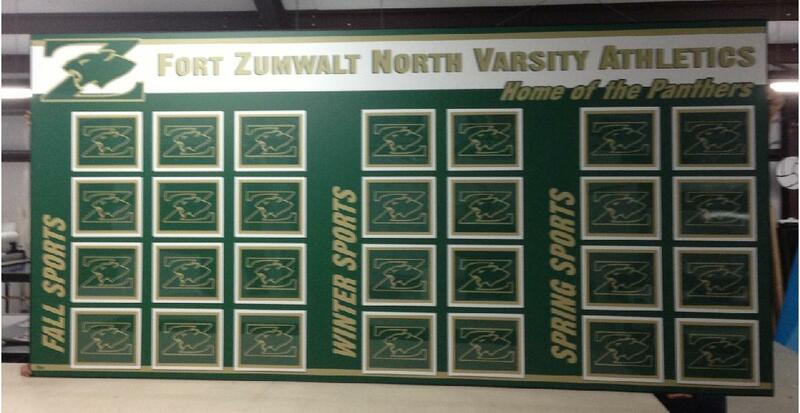 Wrestling Athletic Boards - Banners, photo boards, and all wrestling related signage! 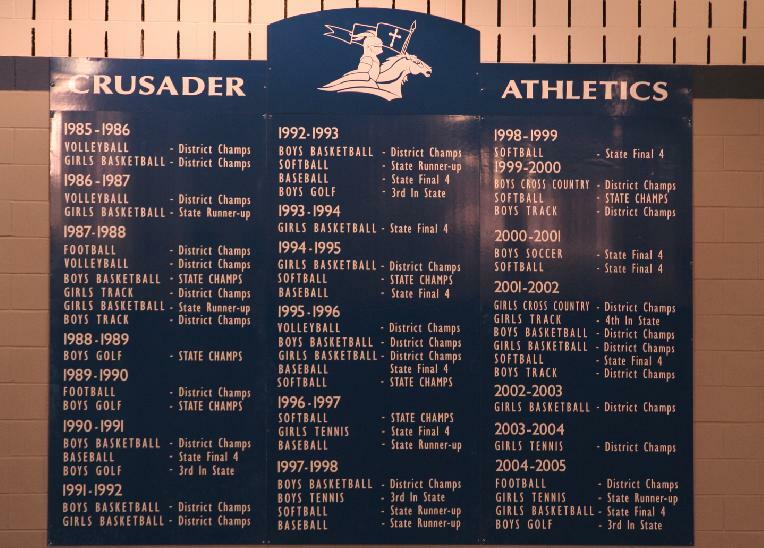 Wrestling Banners are a way to promote school pride, display game calendars, etc. 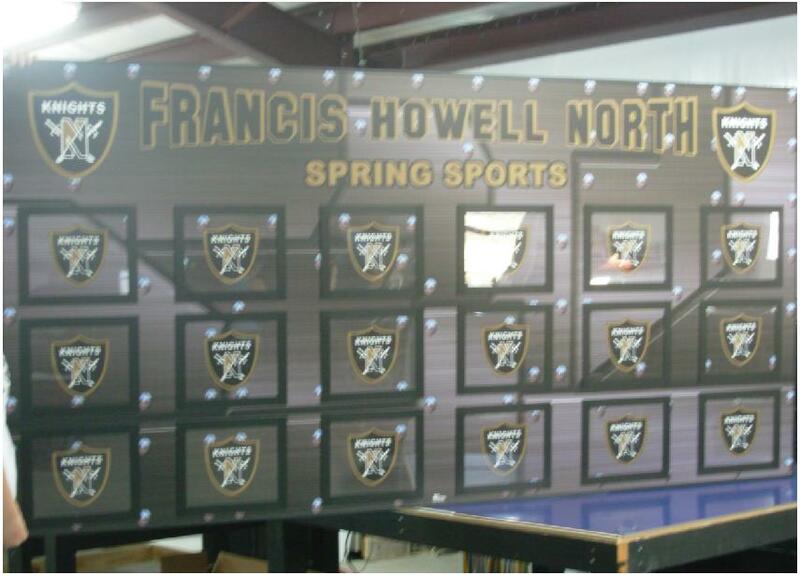 Our banners are digitally printed, so team photo banners are an awesome option. 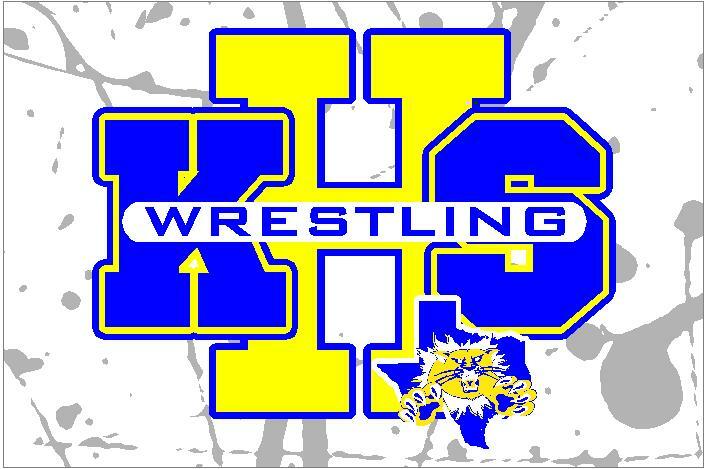 Wrestling Photo Boards are a fun way to recognize current teams and/or former athletes that have moved on to play in college or professional sports. 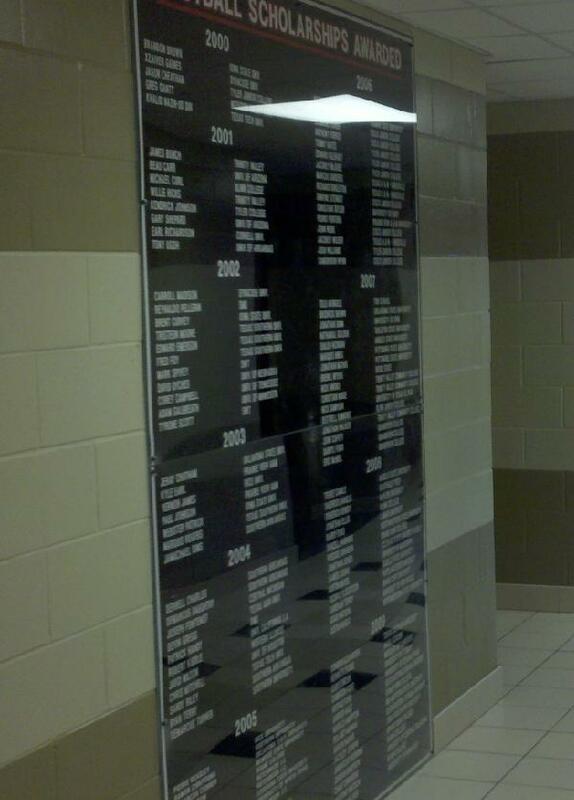 Wrestling Years of Achievement Boards are an ongoing tradition to represent the team successes by listing each year’s attainment from District games up to State and National titles. 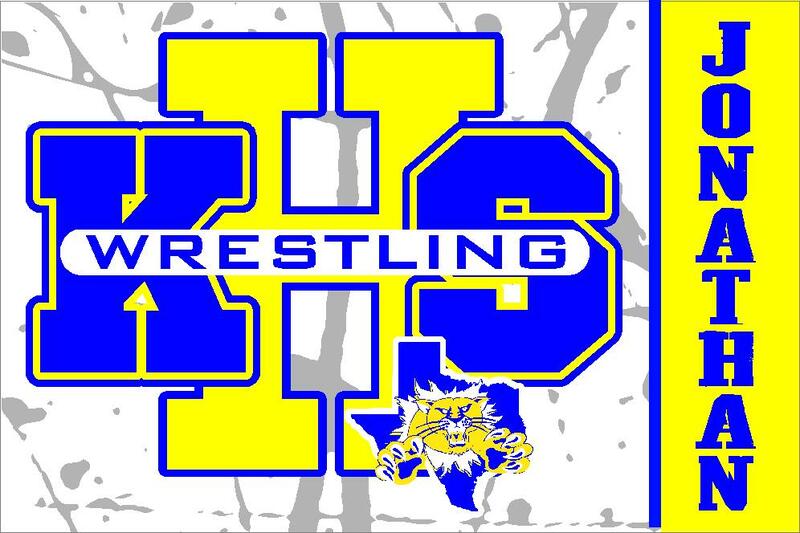 Wrestling Yard Signs are often used as a fund raiser for your club. 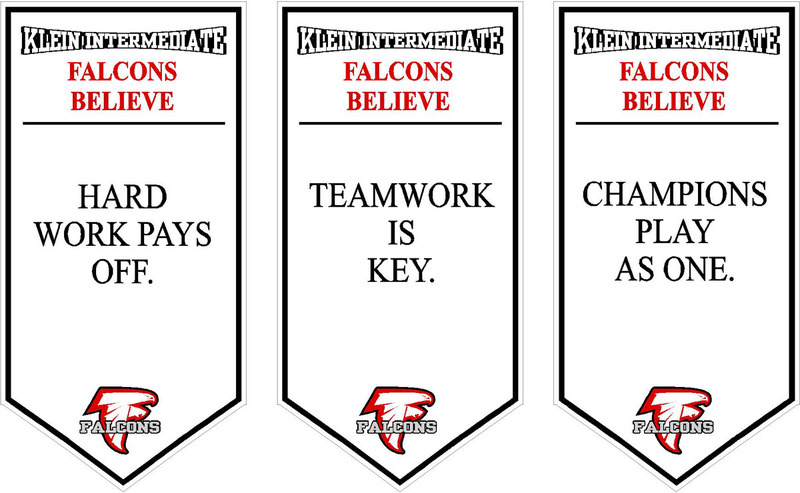 They are Full Color, Personalized, and a great way to generate school spirit outside of the school walls. 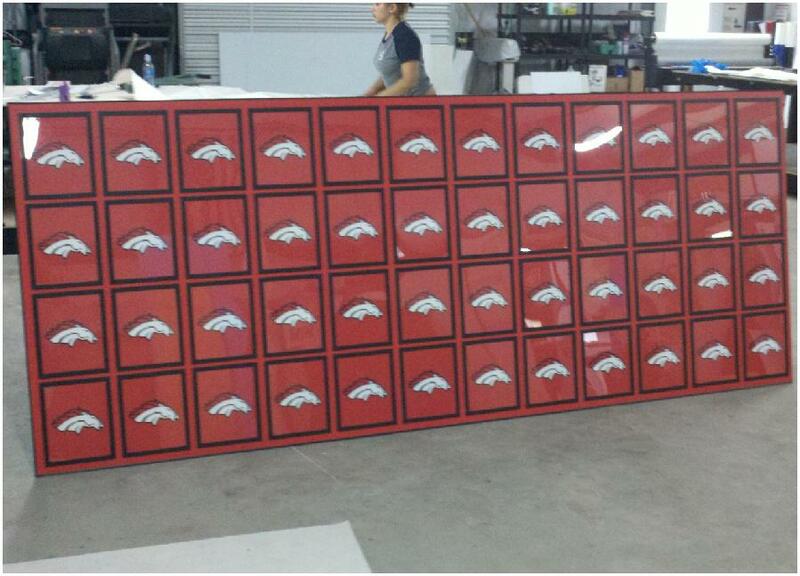 They may be ordered alone or in a package deal with two full color, personalized decals. 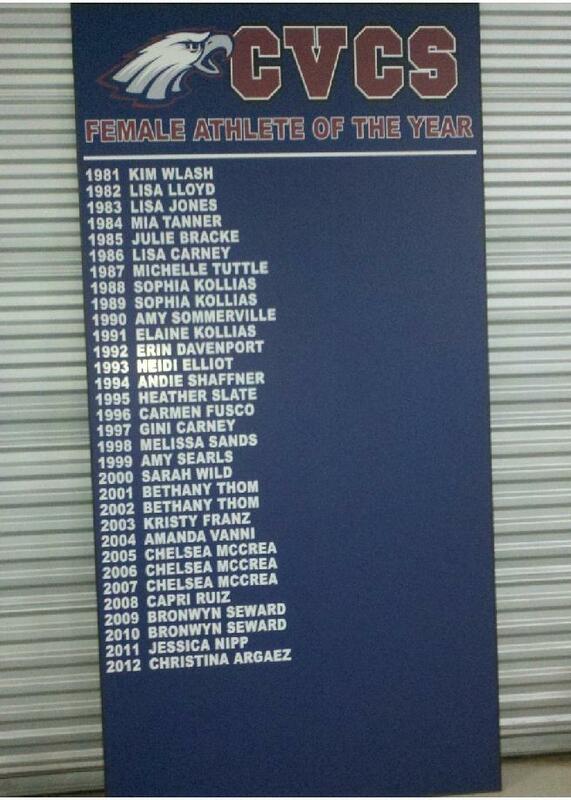 © 2013 Sign Solutions Inc. All Rights Reserved. | Created by Catch42 Designs.